The Klassic is the only all-in-one coffee maker on the market to include a hand-mill conical burr grinder allowing you to brew anywhere from whole beans. 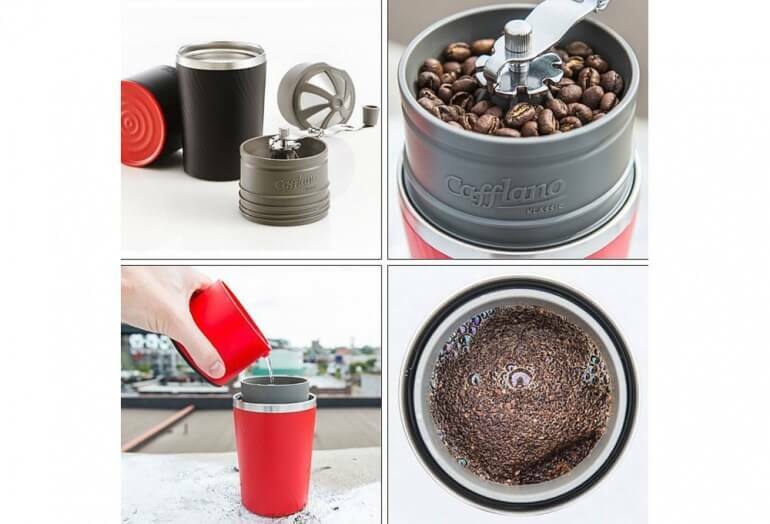 The Klassic all-in-one portable coffee maker from Cafflano. The coffee maker is touted as combining everything from your brewing kit into a single package. 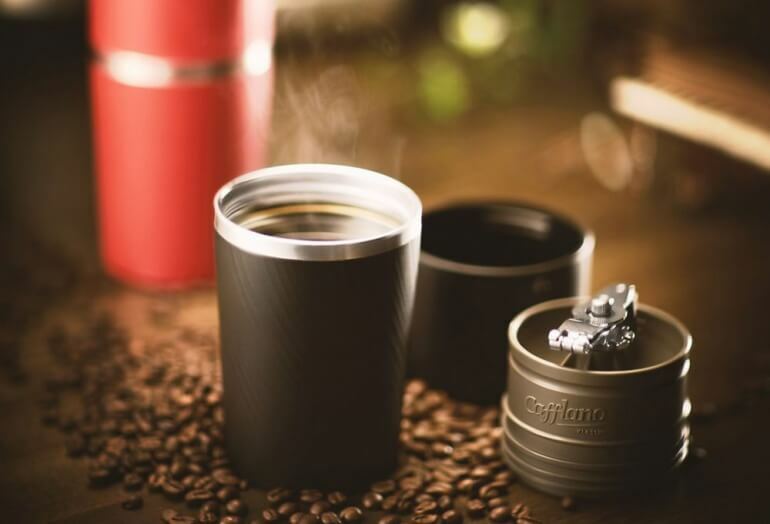 The Klassic is comprised of a drip kettle, hand-mill grinder, metal dripper filter, and a 450ml tumbler. 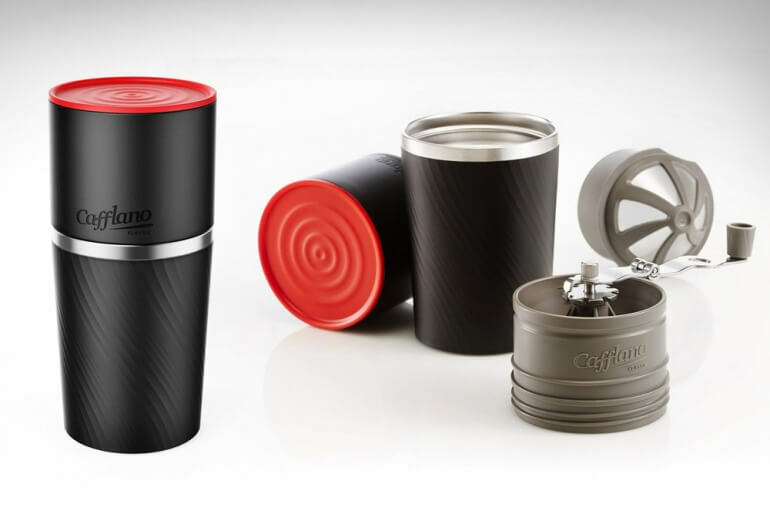 The hand-mill grinder sets this coffee maker apart as it allows you to brew from whole beans. We have not seen any other portable coffee makers that offer a portable grinder built right into the coffee maker. Place the grinder on top of the filter and set your desired grind level. Hand grind the beans right into the filter. Add hot water to the kettle and pour over the ground beans. Remove the filter and enjoy your fresh brewed coffee! Materials: Using only BPA free and food grade plastics and metals.